After seeing another member's bio here on HubPages, I've been inspired to write something more for mine! 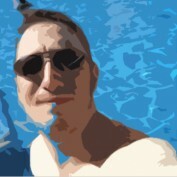 I'm a web developer and internet marketer who currently works for a national retailer of hot tubs in the UK. Because of this, a few of my hubs will always be about things like hot tub covers, or hot tub chemicals, or swim spas I've got a real passion for the products we sell, so my writing is done out of both necessity and pleasure on spa and pool related topics. I will eventually, I hope, put my writing and internet marketing skills to use for myself, and build my own online empire. We'll see.. Although I'm interested in internet marketing, I'm first and foremost an internet user, so I hate hollow 'seo' content as much as anybody else. When I'm here on HubPages I'll be doing my best to try and bring genuine value to the site, instead of adding a whole heap of "benefits of" type Hubs. I'll also be doing a few Hubs which are purely for my enjoyment, like this Hub about English footballing legend Chris Kamara. I'm also a massive music fanatic, so in due course hope to make some hubs about music and musical instruments to share with you another of my passions. Hopefully you will check out my Hubs and see I'm not all bad! Hit me up or follow me and I'll follow back, and will definately check out your Hubs. A detailed guide to help you make the decision about which type of swim spa or exercise pool to buy. 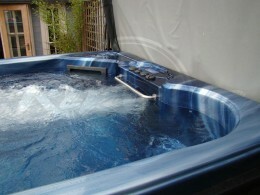 Find out why swim spas could be better for you than a regular swimming pool.